When it comes to animal removal and pest control in Stoney Creek - we have you covered. This is the core service area for Stoney Creek Wildlife and we're locally owned and operated. 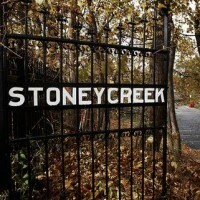 Part of the City of Hamilton, the community of Stoney Creek itself has a population of about 125,000 and has grown quickly over the years with increased development. Divided between Upper and Lower Stoney Creek by the heights of the Niagara Escarpment, it is beautifully landscaped and home to a wide range of wildlife. The old city has continually expanded and grown, thus new developments have pushed wildlife into new areas - existing neighbourhoods that residents call home! Also, the old core of the city has always provided a rich environment for wildlife to live and thrive. Like all communities, wildlife can become nuisance pests when they seek to invade our homes or properties. The same environmental displacement that affects wildlife also affects rodents and other pests requiring control. Animals such as raccoons, squirrels and bats seek out ways to get into homes and buildings for warmth and to nest. In particular, this can be a problem when they get in during baby season - which is when the problem can multiply! Birds, wasps and other insects are also looking for crevices to call home. We're your local experts for handling nuisance animals, rodents and insects quickly and efficiently. Of course, we serve Stoney Creek and offer budget friendly and guaranteed pest control solutions to rid you of your pest problems. We humanely remove everything from raccoons from the attic, wasps from corners of your home, or mice from inside your home - or any problematic pest or insect issue. Call the certified and experienced wildlife removal and pest control experts!